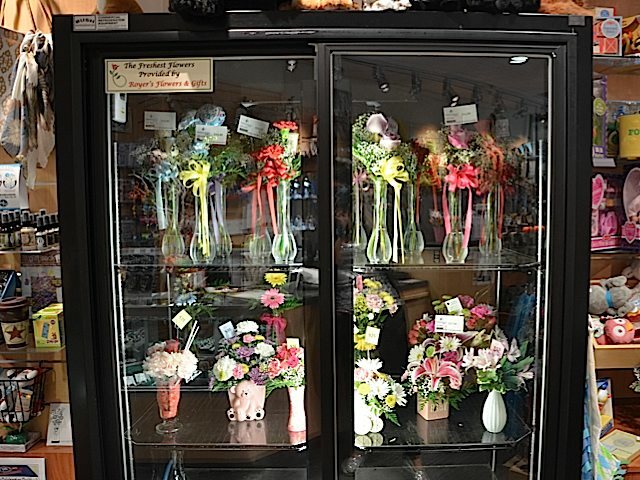 In advance of opening West Shore Hospital in May, PinnacleHealth System sought a new floral vendor that could keep up with the growing volume of orders from its three hospital boutique gift shops. Royer’s Camp Hill store won a multi-year contract to service the new hospital as well as the established Harrisburg Hospital and Community General Osteopathic Hospital. The partnership began April 1. “It’s just been extremely good the whole time,” said Joan Line, manager for PinnacleHealth Auxiliary. She works closely with the Camp Hill store’s Holly Newpower, manager, and Aimee Arrowood, assistant manager. Royer’s delivers flowers at various price points to the hospitals every week, but Line also has been impressed with how requests have been accommodated on weekends. PinnacleHealth’s gift shops are open 10 a.m. to 7 p.m. Monday to Friday and noon to 4 p.m. Saturday and Sunday. What’s more, PinnacleHealth Auxiliary’s website includes an online gift shop, and orders placed there are filled by Royer’s. Or if customers buy flowers on Royer’s website that are destined for a PinnacleHealth hospital, Royer’s gives a small percentage of each sale back to PinnacleHealth Auxiliary. The nonprofit PinnacleHealth Auxiliary manages the three gift shops. All of the proceeds from the gift shops come back to the hospitals to support various programs and services. Holly, Royer’s manager in Camp Hill, called the PinnacleHealth Auxiliary partnership “a huge deal” for her store.